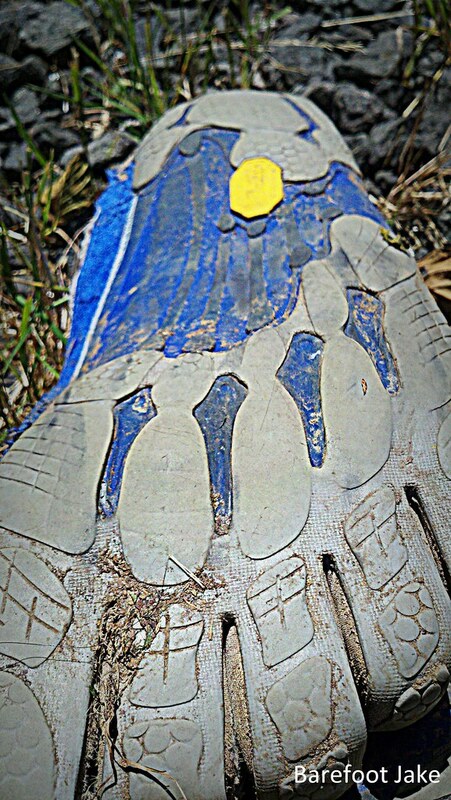 Last year I did a trail review for the Vibram Fivefinger Seeya. 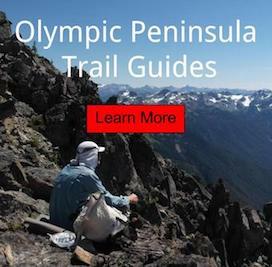 Then took the footwear on a few weekend trips, couple trips on the North Olympic Coast and Mount St. Helens double loops. Keep in mind that they were worn only a 3rd of the time while not in sandals. So there is no way for me to tell you the exact mileage walked in them. Only that the terrain was on the harsh ends of surfaces to travel on. The designers intended this footwear to be worn for road running and not sharp rocks. So that has a lot to do with the fabric failing. 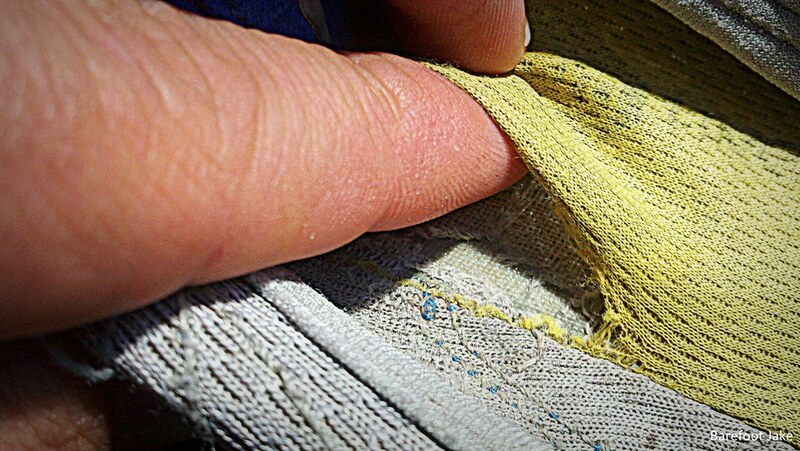 Moisture also played its toll on allowing the upper to rip. Feeling that the Seeya was the closest thing to being barefoot at the time. I decided to add it to my backpacking kit when scrambling, steep traversing and kicking steps in hard snow pack. Areas where my preferred footwear; did not perform as well on. Vibram Fivefinger Seeya Upper - Outside the heal. Stress point caused by side-hilling. 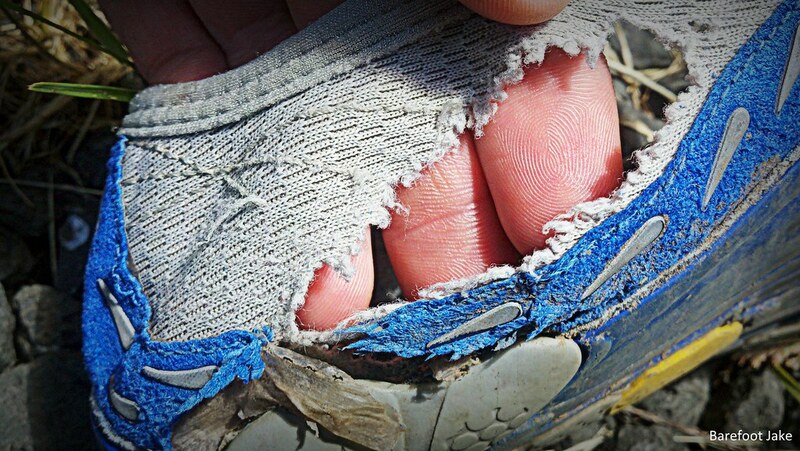 Outside forefoot - Stress point caused by side hilling; while the reinforced fabric was saturated with moister. 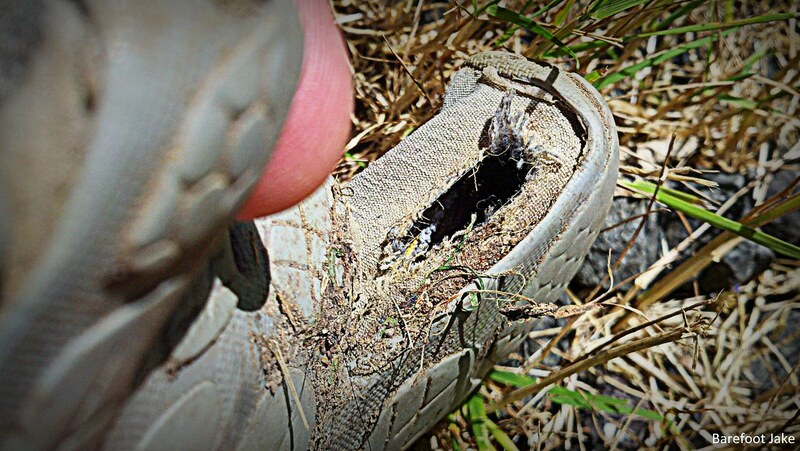 Inside Big Toe - All my VFF to date show stress points here. Footbed outer heal - Full rip separation and complete glue failure on the full foot. 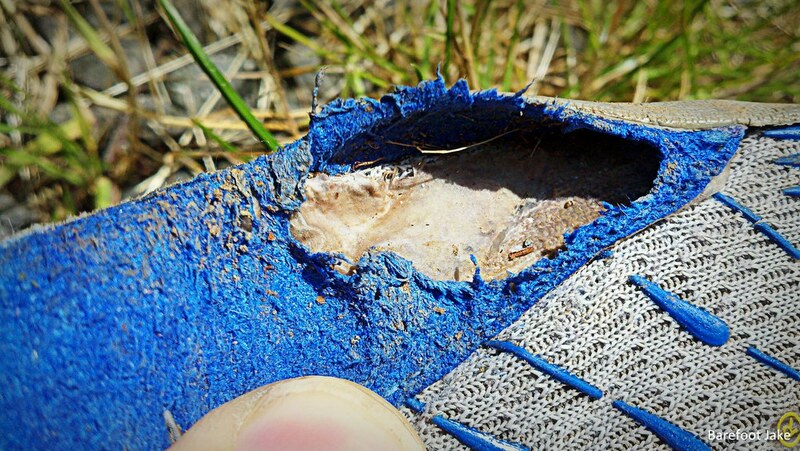 Two Piece Sole - Forefoot shows wear, but the rest is in good shape.